Is a Tankless Water Heater Right for Your Home or Business? A tankless water heater is an investment in money and space. They heat water on demand, so you do not have the added cost of heating a large tank of water all day and night when it is not needed. John’s Plumbing & Pumps, Inc carries a large selection of tankless water heaters in Lacey. Our knowledgeable plumbers take the time to discuss your needs and help you find the right match for your budget, usage, and space. Don’t wait in line for a cold shower once your teenagers have exhausted the hot water supply. Say never again and call us for a new tankless hot water heater installation today. 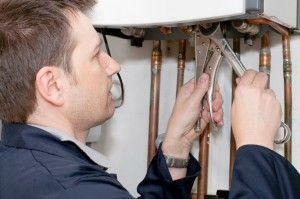 Our certified technicians are experienced at installing both gas and electric tankless water heaters. Why do you need a tankless water heater? 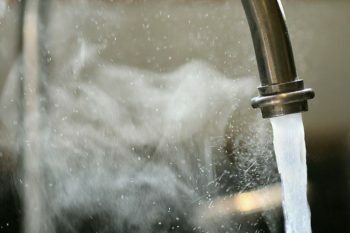 Stop paying to heat a large tank of water during the many hours it is not being used. You get ready when you want it, on-demand hot water. The last person in line for the day’s shower no longer runs out of hot water. Skip the wait time while the water heats back up again; you get hot water the moment you need it. Save on the large space that a traditional water heater takes up. You have options for either a gas or electric tankless water heaters. With all the benefits a tankless water heater has to offer, it is clearly a strong contender when thinking about your next home improvement purchase. We offer the best brands with long warranties. Tankless water heaters pay for themselves over time with savings in utility bills! Our technicians are happy to go over the different options. We can measure the space where you want it installed, talk to you about your hot water usage, and narrow down the right tankless heater for your budget. With a large number of options available, you will find the right one for your home or business. Serving the Lacey area for all your plumbing needs since 1975, we have earned our reputation as a trusted source of plumbing repair, installation, and more. We guarantee satisfaction, so please let us know if you are not completely happy with our service. We will make it right! Call us today and ask about our price-points on your energy-efficient tankless water heater in Lacey.